"YOU CAN ACQUIRE THAT BEAUTIFUL TONE LOVED BY SO MANY"
"EASY STEP BY STEP INSTRUCTIONS TO OBOE SUCCESS"
"YOU CAN LEARN TO MASTER EVERY TECHNIQUE"
The book contains sections on everything from acquiring a good posture to, what I call, the secret of oboe playing, - that is the balance between the embouchure and the diaphragm. "TAKE THE STRESS AND STRAIN OUT OF PLAYING"
To many young players especially, the oboe is stressful and hard work. 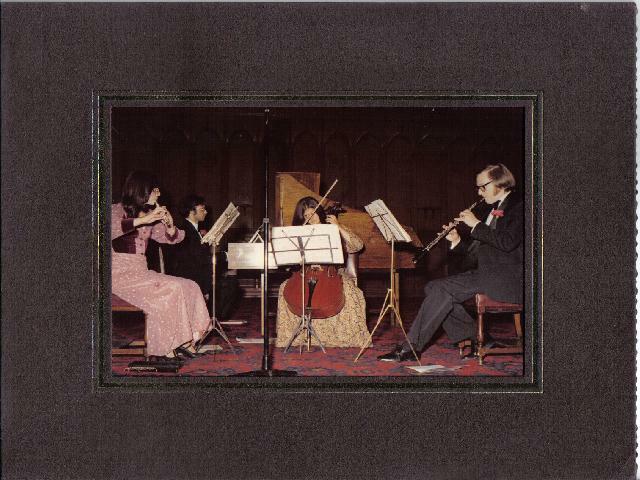 By applying the techniques outlined in this book, the muscles will be trained to cope with these difficulties making the instrument much less tiring to play. It is all a question of which muscles do what! If the wrong muscles are being used then problems are bound to ensue. This is especially true if smaller, weaker muscles are being used to do work which should be done by bigger and more powerful muscles. You wouldn't try to pick up a large bucket of water with one little finger, - I hope! "SO WHO AM I THAT YOU SHOULD LISTEN TO WHAT I HAVE TO SAY?" Perhaps, first of all it would be a good idea to listen to a recording of my playing. Please use the buttons below the following picture to hear me in performance. 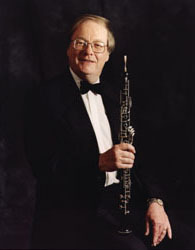 I studied the Oboe at the Royal College of Music with that great British oboist, Sidney 'Jock' Sutcliffe. 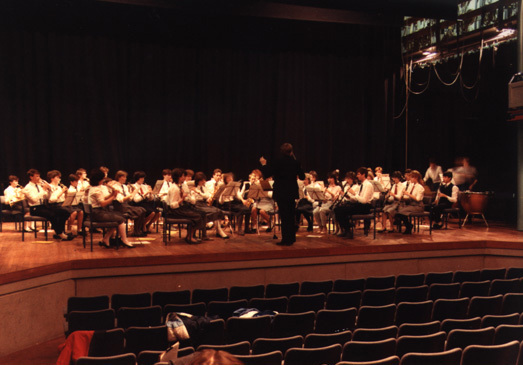 During my student days, I was Principal Oboe with the British Youth Symphony Orchestra. On completion of my 4 years at the Royal College I, initially, went on to pursue a freelance career. This involved work with the Royal Ballet Touring Company, the International Orchestra of the Cyprus Music Workshop, one year as Sub-Principal Oboe with the National Symphony Orchestra of Iceland and oboist with the Arradon Ensemble, a chamber group directed by Brian Ferneyhough, specialising in 20th Century repertoire. As a teacher I have held senior positions in Berkshire (Assistant Director, South Berkshire Music Centre), East Sussex (Director, Crowborough Area Music Centre) and West Sussex (Head, Crawley Area Music Centre). "SO HOW MUCH WILL IT COST ME?" This new book examines that most crucial of all wind playing techniques, - breathing. As it is the air that activates and controls the sound of all wind instruments, both woodwind and brass, it is fairly obvious that how we breathe and how we use the air is of paramount importance. This book analyses the 'how', 'why', 'when' and 'where' of breathing and provides a whole series of exercises to develop a correct and dependable technique. 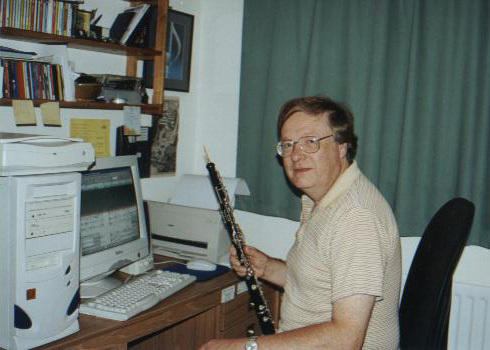 Discover the secrets of oboe playing. Learn how to overcome the stressful nature of the instrument. Acquire the control and technical skill to create that wonderful silky sound that will draw words of admiration from all who hear. All you need to know is here in this e-book; - the product of over 30 years experience of teaching the oboe. This comprehensive guide to the mastery of the oboe could be in your possession within just a few minutes. Don't delay! ORDER TODAY to take advantage of the "two books for the price of one" offer. Click on the link below to order and download NOW. P.S. The title of the book says it all, - "How to play the oboe in one easy lesson". Everything you need to help you master the instrument can be found within its pages. P.P.S Order today to get your free copy of "Breathing Technique for Wind Players"; - 2 books for the price of 1.